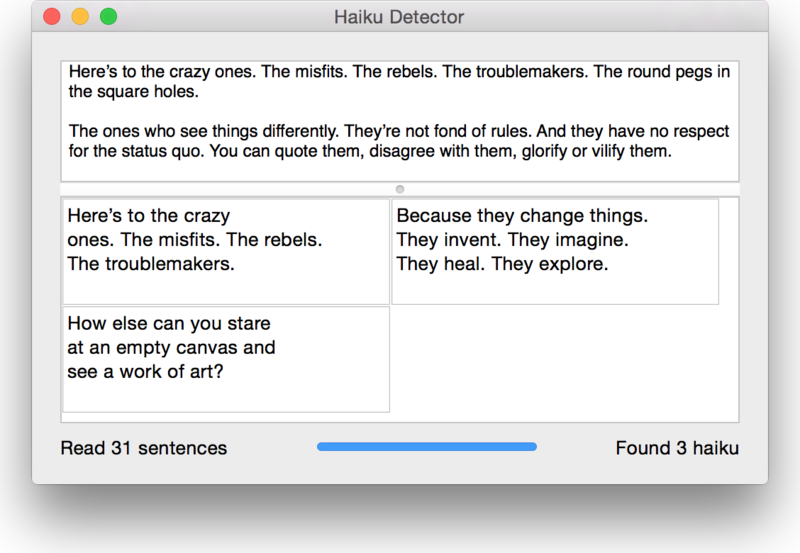 Tweaks to which haiku are identified when punctuation is pronounced differently depending on line breaks and other factors (this includes a workaround for the ‘all numbers pronounced as zero’ bug I found in the speech synthesiser.) In my test data the list of haiku identified is better now. They will not thank you. After the opening credits, we see our hero Dan Jones in his lab, and the subtitle announcing his first challenge. But what is the matrix? I guess you have to see it for yourself.